Tim McCauley, President of Get Visual Business Solutions, completed this market analysis for a small business in Milwaukee, Wisconsin, as part of a graduate school marketing project in 2007. The store had opened less than a year earlier, was having difficulty making a profit, and was not sure about which factors should be addressed in improving the situation. The team of four people responsible for preparing a marketing plan (including Tim) assessed the store’s product offerings, location, and overall value proposition relative to nearby competitors. They determined that these factors, along with the team’s familiarity with the neighborhood, should actually be contributing to the success of Four Corners. It was ultimately determined that a market analysis would serve to demonstrate just how good the demographics were within a short distance, and which portions of the nearby and outlying market areas should be targeted for advertising, promotions, product offerings, etc. 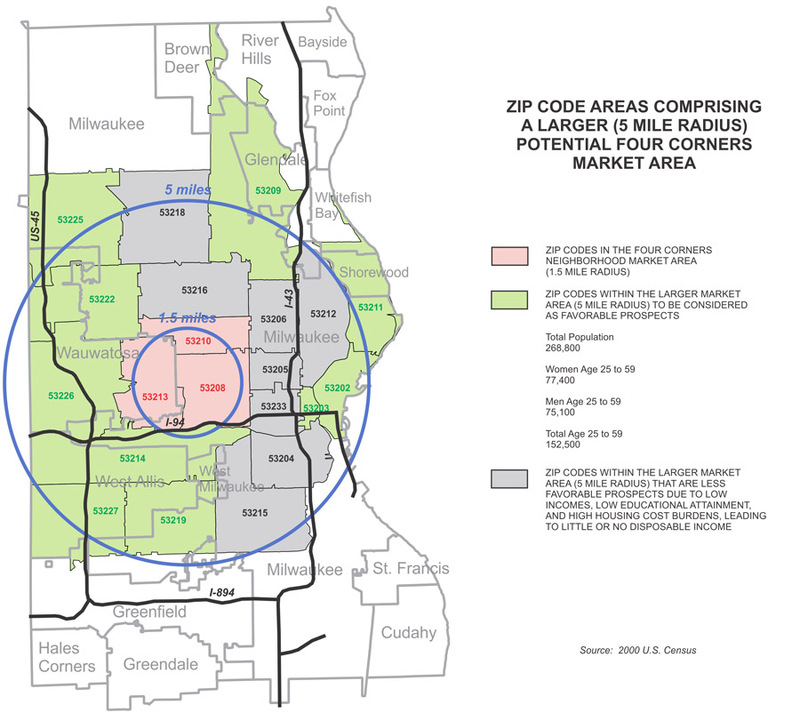 The market areas and characteristics are illustrated on the following two maps using Zip Codes and 2000 U.S. Census data. 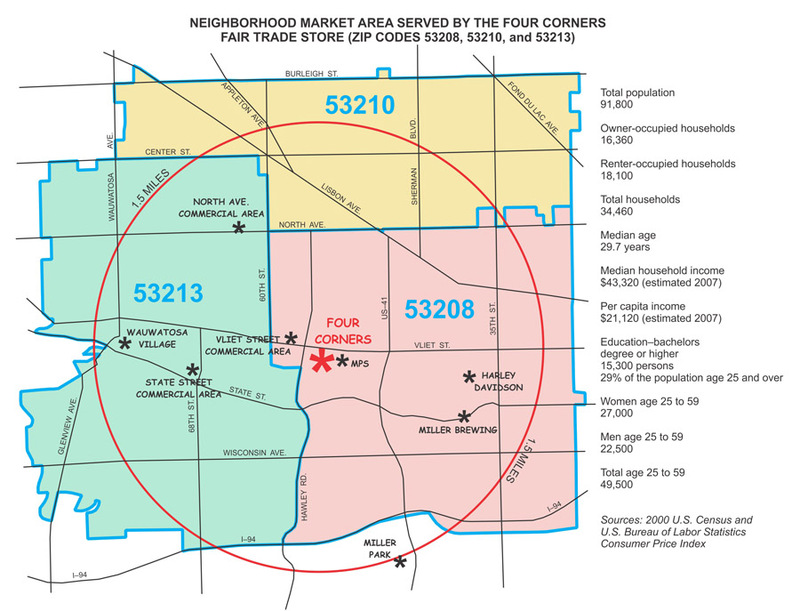 The analysis concluded that the potential of the neighborhood market area (1.5 mile radius) and the larger service area (5 mile radius) to yield paying customers was clear, based upon the size of the population, short distances from the store, and the positive demographic and economic characteristics of the nearby residents. This included about 50,000 potential customers in the neighborhood market area and 150,000 within 5 miles, a good portion of those being located in some of the more fashionable neighborhoods and suburbs of Milwaukee. Fast forward to 2013. Four Corners is doing very well, and at the same location it was back in 2007.